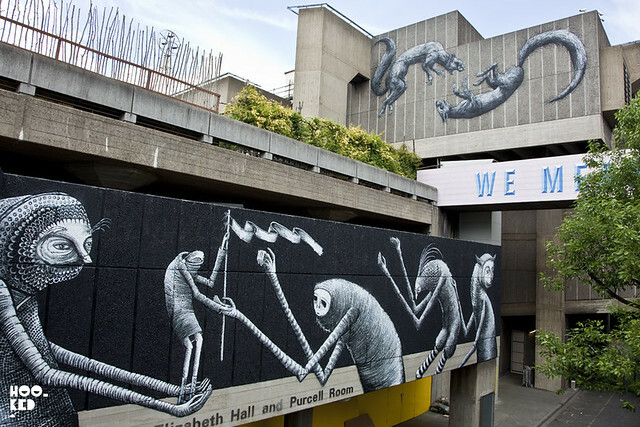 Having already featured ROA's South Bank Mural last week (covered here), the UK Bank Holiday weekend saw the addition of two new murals to the Southbank Centre's brutalist exterior. On our visit to the space, East London's 'Bread Collective' were still working on their typographic based mural on the site. 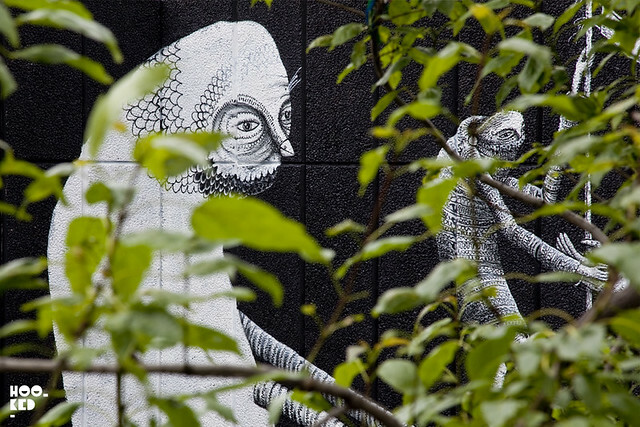 Some of our London readers may have seen some their previous work in Hackney Wick, which saw the collective paint a 100-metre long wall leading to the Olympic Park. 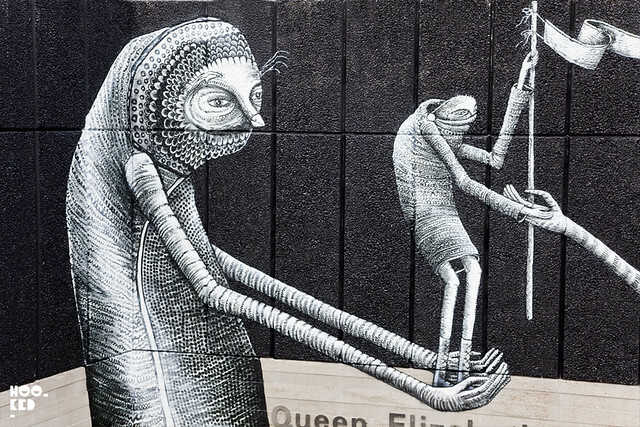 We did however managed to capture the third of five or so murals planned for the site featuring the signature characters of Sheffield artist Phlegm. 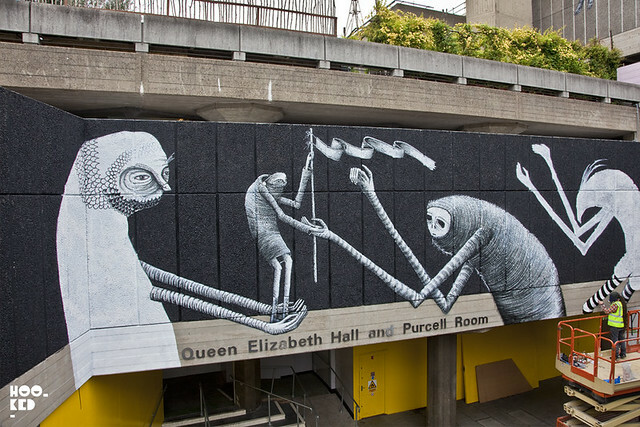 This new black and white piece from the artist painted on the side of the Queen Elizabeth Hall & Purcell Room building sees the return of some of the long limbed characters we previously saw on the walls of the Village Underground earlier in the year (covered here) alongside some new owl faced characters Phlegm has been working on. Painted over a number of days we caught some progress shots in between rain showers as well as the finished mural which along with the ROA mural is another great addition. 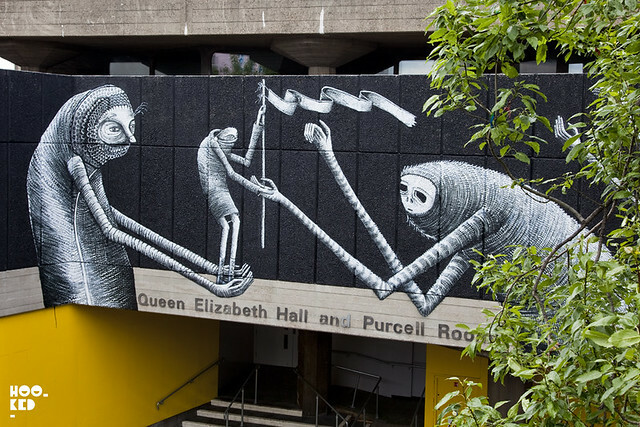 We look forward to seeing the finished Bread Collective mural and are excited to see who the Southbank centre have lined up next! 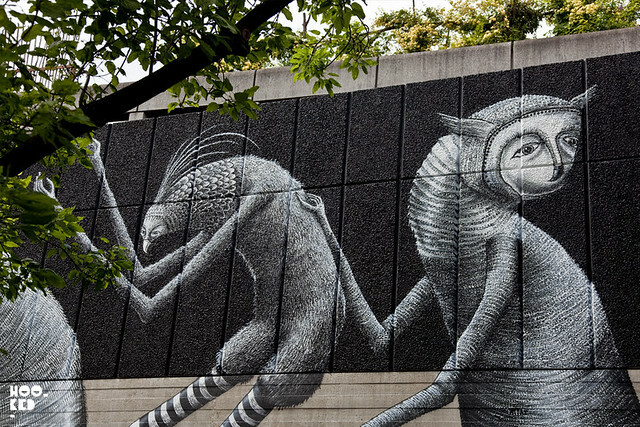 Oh and we managed to get a sneak peak at Phlegm's long awaited self published book of illustrations. You guys are all in for a treat, the book is pretty awesome. 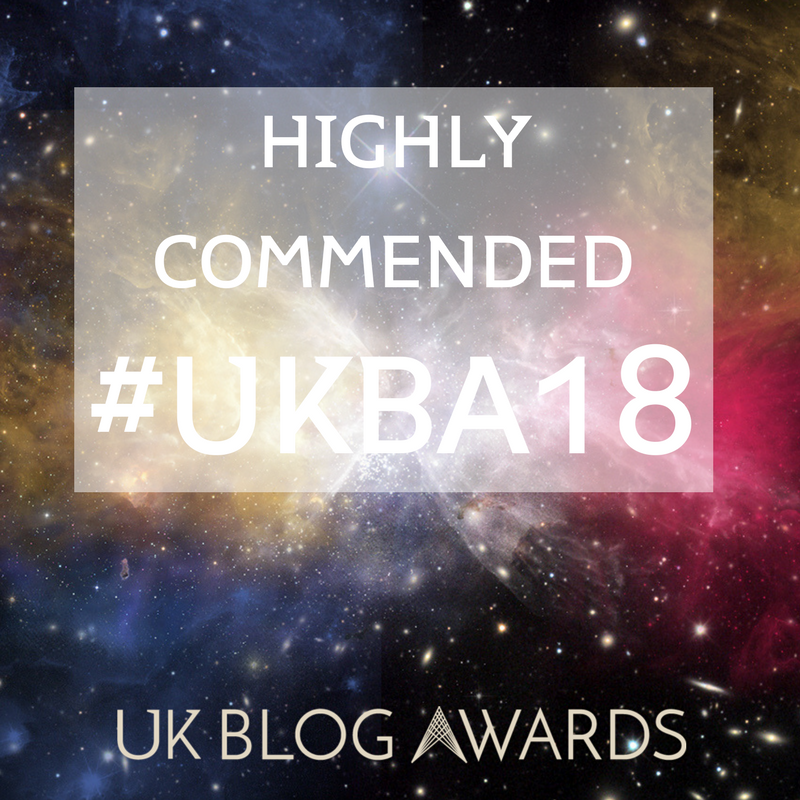 We have posted a selection of images from inside the book and all the details in the post here.